Again, we went well beyond the classic IoT, and are proud to announce the new feature that will help you to deliver top-notch solutions. 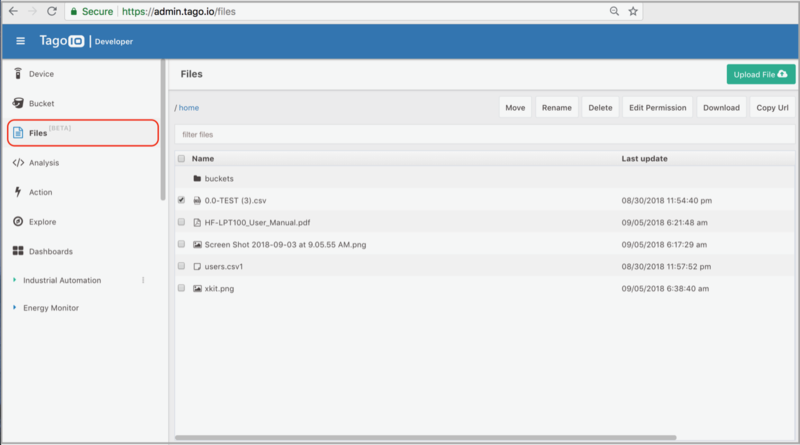 We are introducing FILES, an easy to use repository for any type of file that can be managed manually by developers, users, or remote devices. For example, an electronic device can now take a picture and send it to your account to be stored, processed and visualized in any of our widgets. Learn how to use Files here.